The Press reports on robot massage project | Christoph Bartneck, Ph.D. The Press reports in today’s paper on our robot head massage project. 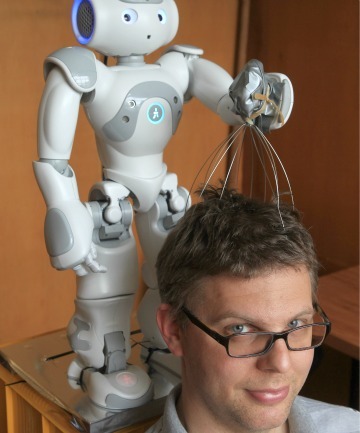 I am enjoying a head massage by one of our robots. How can I purchase one? Intend to use for massaging & relaxation. What is the price? You would have to purchase a NAO robot from Aldebaran and program it yourself.